Water damage occurs for a variety of reasons and isn't limited to just the weather. Even if it's sunny outside, your home can suffer water damage. Whether you experience a slow, long-term leak, or a sudden influx of water from either inside or outside the home, water damage is highly detrimental to your home and requires water damage mitigation and water damage restoration. Common leaks can come from a leaking washing machine, toilet or dishwasher, and burst pipes. Unfortunately, sometimes you don't know there is a leak behind the wall until severe damage has happened. These long-term situations typically create mold from water damage that will need remediation. You can, of course, suffer from outside water. Rainwater can seep in through cracks in your walls or foundation, or leak through the roof. You may even experience a sewage backup. No matter the cause, AdvantaClean of San Antonio NW is skilled at both water damage mitigation and water damage restoration and can begin the necessary work as soon as you need us. We also employ Certified Mold Inspectors (CMI) and Certified Mold Remediators (CMR) who are trained at handling any mold from water damage that may have grown. Water and moisture are damaging forces in the indoor environment. No matter where it came from, if it goes unnoticed or untreated, water in home and moisture in home will lead to expensive repairs and a lot of frustration. As soon as you find water damage, call AdvantaClean of San Antonio NW, so we can arrive at your property expediently and begin the mitigation and restoration process. Local flooding. Rain always comes with the chance of water damage in your home, but locally heavy downpours are the most nerve-wracking. Water may seep through cracks in your basement walls, come up from the foundation, infiltrate your crawlspace or drip down from the roof; every situation can result in expensive repairs. Plumbing failures. Plumbing failures include a wide variety of problems. 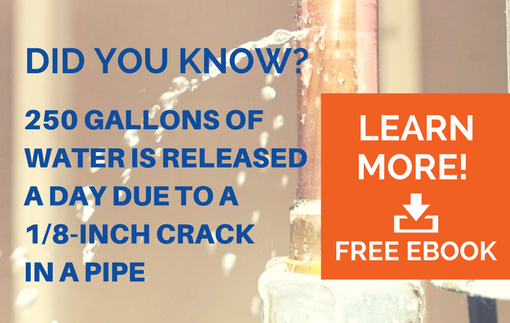 It may be a burst pipe, but it could also be an overflowing bathtub or toilet, or leaky washing machine hose. Groundwater. Any water that enters the home from the outside and has touched the ground is considered a groundwater intrusion. These influxes often come out of nowhere and can be very expensive to resolve. Long-term humidity and moisture. Moisture is dangerous and destructive when it's in your home. It's usually found in crawlspaces, basements, and attics, but can occur in any room if the conditions are right. At AdvantaClean of San Antonio NW, all of our technicians follow the specific guidelines and standards set by the Institute of Inspection and Restoration Certification (IIRC). This means we are experts in the field of water damage mitigation and water damage restoration. We also employ Certified Mold Inspectors (CMI) and Certified Mold Remediators (CMR) who can resolve your mold situation. We use only the most advanced techniques and provide the best customer service in the industry. Every water damage mitigation process starts with extraction. We remove the water from all of the affected surfaces and follow up with the drying out process. We use dehumidifiers and fans to remove the last of the moisture and return your home to normal. This step of the process can take several days, dependent on the extent of your water damage. If any demolition is required, we perform that service as well. Every mitigation is finished with an inspection to ensure the drying out is complete, and there is no microbial growth.